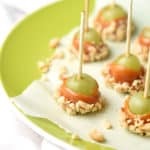 Herbed-Cheese Covered Olives – marinated olives are coated in an herbed-cheese mixture, then rolled in toasted nuts for an easy and super tasty appetizer! This recipe was developed by me for Star Fine Foods, whom I have an ongoing relationship with. All opinions are 100% my own. Thank you for helping to support the brands that I love and make Belly Full possible! Just last week I was saying to Paul, “I never use walnuts in anything.” So he said, “Well then, you should.” We’re simple folk. So, I used some! But not in baking, which would have been the obvious choice. 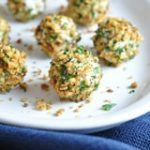 I was inspired by all the giant cheese ball recipes that have taken over my Pinterest feed (must be football season! ), and these new STAR marinated olives! 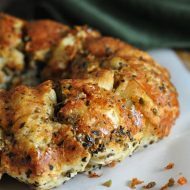 They have four new flavors – Lemon, Hot pepper, Tomato & Peppers, and these Garlic and Basil. I cannot tell you how hard it was to decide, which to try first, but in the end, I went with the Italian. This is a great little appetizer and can easily be doubled if you’re serving a huge crowd. If walnuts aren’t your thing, try pine nuts or almonds! 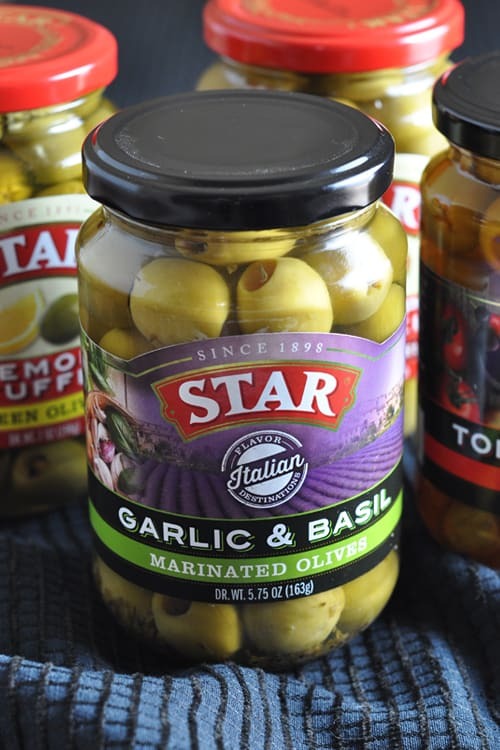 STAR Italian (Garlic & Basil) Marinated Olives are available at Nob Hill, Raley’s, and Savemart stores, plus online. Marinated olives are coated in an herbed-cheese mixture, then rolled in toasted nuts for an easy and super tasty appetizer! Preheat oven to 350 degree F. Spread walnuts out on a baking sheet; bake for 5 minutes, toss and bake for 5 minutes more until toasted. Let cool. Transfer to a cutting board and chop finely. Place in a shallow bowl with the parsley and mix to combine. Place cream cheese, Gouda cheese, Worcestershire, and dill in a medium bowl; beat with a handheld mixer until thoroughly combined. Mold 1 teaspoon cheese mixture around each olive; shape into a ball. Roll each cheese covered olive in the walnut-parsley mixture; set on a large plate. 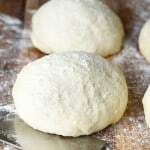 Place in the refrigerator for 30 minutes until firm. These sound great. How far in advance could they be made? 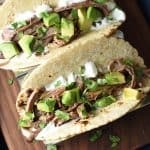 You can make them the day before, store them in an air tight container in the refrigerator, then bring them to room temperature before serving. I made these for a party last weekend. 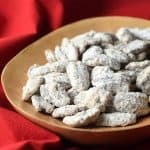 Over 25 years of marriage I have made a zillion appetizers for cocktail parties but my husband and I have both these in our top 10 favorites of all time. Don’t know why I never think to make things with green olives but the flavor and presentation of these was awesome. Thank you so much! Ah, that’s awesome Julie! Thanks for letting me know! oh my gawd, gimme all the cheese covered olives!!! I love these! what a great idea! These looks so good! Pinned & hoping to make them soon. I think its funny you are calling them Cheese covered olives. 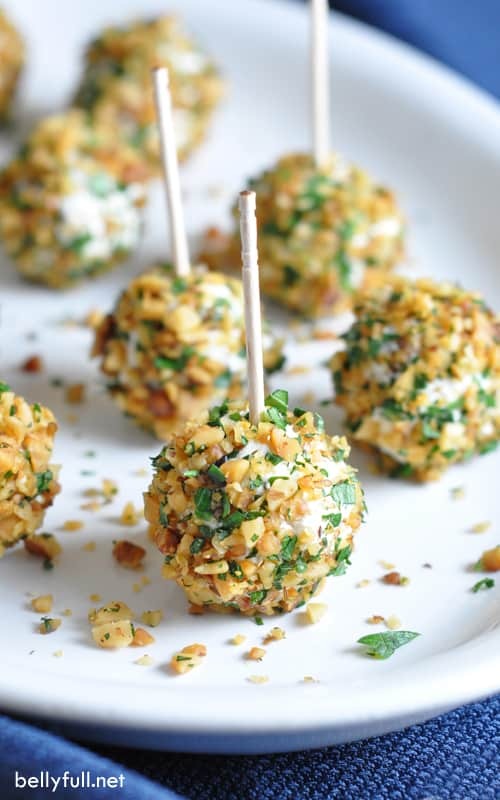 It seems more like olive stuffed cheese balls… lol Either way, it looks delicious. 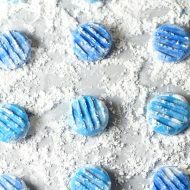 You always have great recipes with wonderful pictures. Well, since the olives themselves aren’t stuffed… Regardless, let’s just call them delicious! Ha. Thank you, Wanda! I can imagine how savory these are, and they’d be great with a good wheat beer. Need to make a lot, as they’d go fast. Yes! Yes, to all of that. 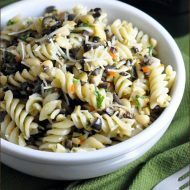 Olives are one of my favorite foods. This sounds like such a great and different appetizer. I have a halloween party I’m going to and I pinned these to take with me. Yum! Mine too, Becki. I eat them like candy!